The Campus which might comprise of the only building, but carries memories of more than half a century. Our walls might have dusted over these years but every moment spent here are still very clear and fresh. This one year was extremely exciting, full of troughs and crests still moving. Every trough and crest brought a memory, few of them would always help me ahead in some or the other way, rest will just pass on giving me moments to relish. One of these chapters is linked to our summer recruitment process. The summer internship is the kickstart for every MBA pursuing student. Everyone hopes for their better performance and get into a better company. In this pursuit, we used to grab our chairs in the Auditorium which was our home during this week of the summer internship. A batch of 140 students was loaded in the auditorium of the same capacity. One great thing about those days was, though we were each other’s competitors but we never felt this rivalry. Everyone was each other’s support during this unpleasant time. All the students who were placed were helping the ones who were finding it difficult. Since we all were aware that apart from preparation it was largely a matter of luck. Some moments will grab a few and leave others. In this way, I share this tremendously precious memory regarding the college. This is something special of the infrastructure that JBIMS has got. 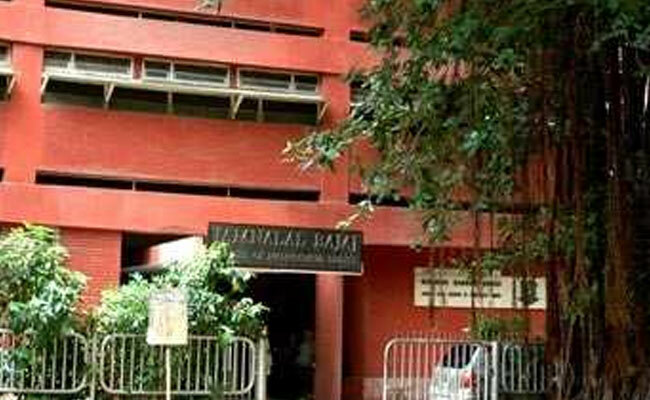 So when anyone asks the speciality or uniqueness of JBIMS, well we can’t say about great infrastructure or attractive campus but being located in the financial capital of the country is itself what it means to be an attractive campus. Similarly, having this strong alumni base of more than 50 years they make the attractive infrastructure of the College. Such is the greatness of JBIMS. One of the Companies from the Aditya Birla Group I am personally attracted to is Hindalco. The company is world’s largest aluminium rolling company. Hindalco is majorly into metals and mining. This sector contributes majorly to the economy of any country. Ups and downs in this sector also controls the variation of economy. Now this is majorly because of dependencies of many sectors on this sector. I would want to be in a company wherein I would dwell my finance knowledge with these dependencies and economy related information. I am very drawn by metal and related sectors and always wanted to dwell my finance knowledge with this trending sector.